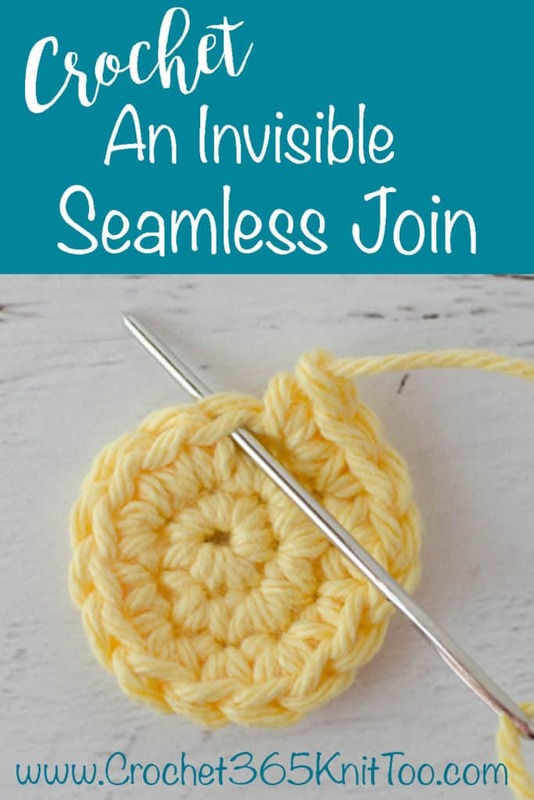 If you want to kick your crochet up a notch, learn how to crochet an invisible seamless join in 3 easy steps!Whether you call it crocheting an invisible join or crocheting a seamless join, this is a great finishing technique when working in the round. 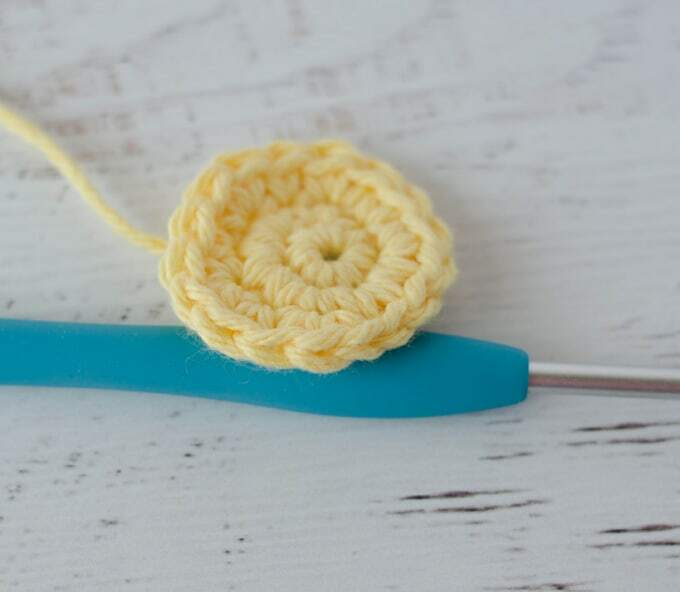 You can use it when working continuous rounds (as in the photos here) or joined rounds. 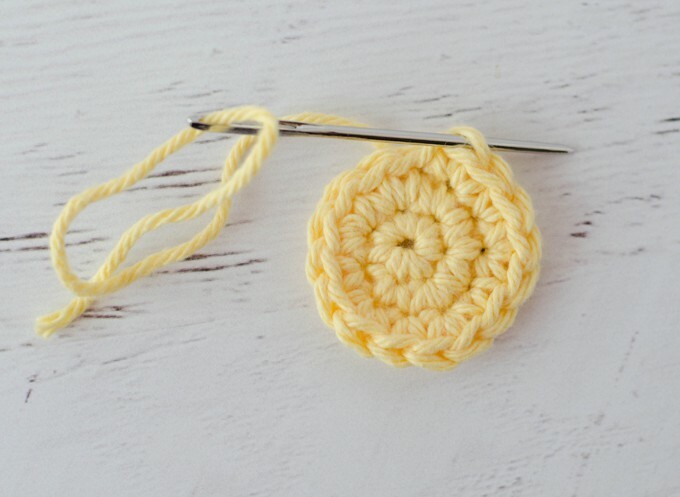 I am wishing I knew this technique before I crocheted all those squares for the Happily Ever Afghan! But you are in luck.. because not only did I learn how to do this fabulous finishing technique, but I’m going to teach it to you in 3 easy steps that you will be sure to remember! Traditionally when after finishing the last stitch in a project, you join with a slip stitch to the first stitch, cut the yarn, and pull through the loop. It ends up leaving a knot at the end of your work and a bit of a jagged finish. 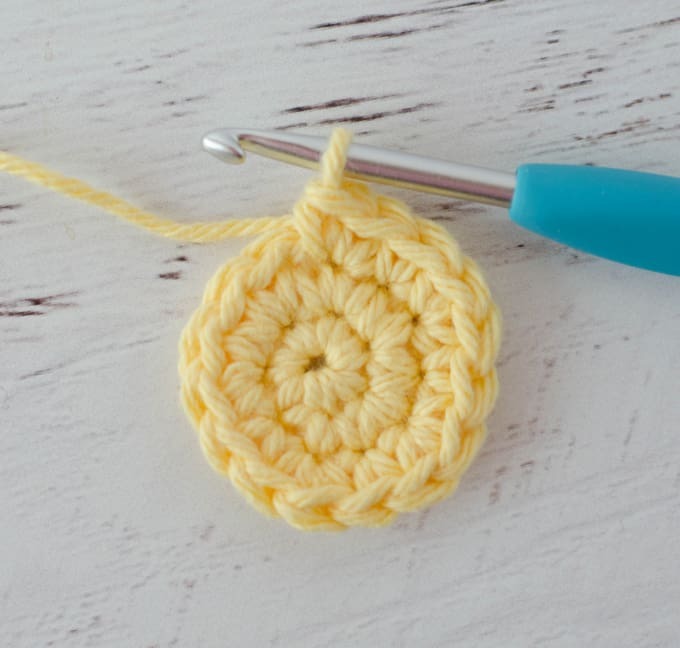 When you crochet an invisible seamless join, there is no knot and you can’t even tell where the join is! After the last stitch, cut the yarn. Take you hook out of the loop and pull the loop up…. Continue pulling this loop until the cut end of the yarn pulls right though. Then take the yarn end and thread a yarn needle. Note that I am working in continuous rounds for this example, so there is a little bit of a “jog” effect’. 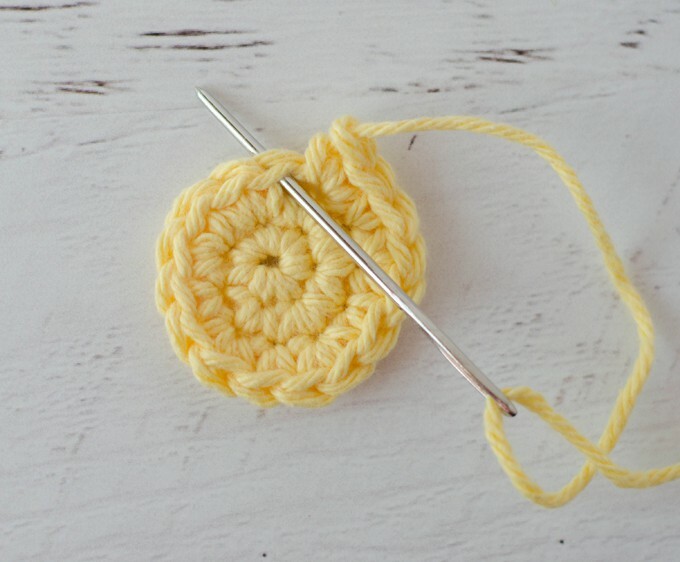 If you are working in joined rounds (starting each row with a ch 1 and then your 1st stitch), there will not be a jog. 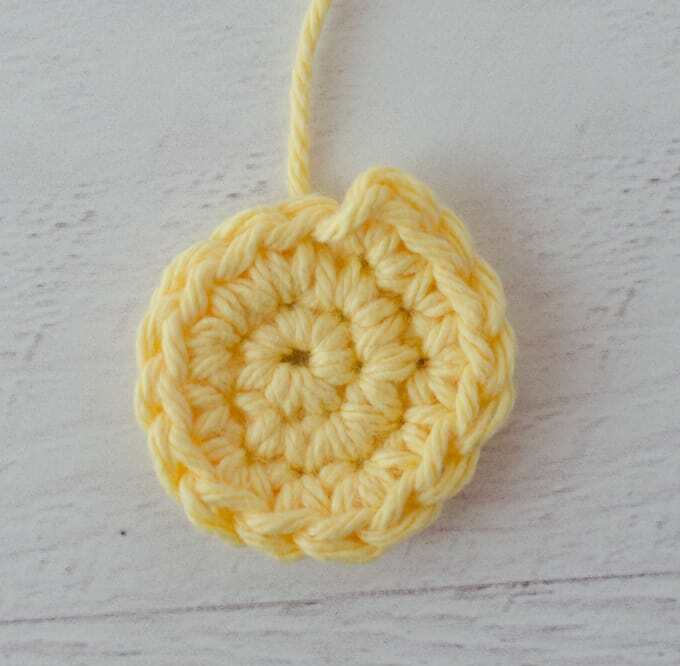 Just remember to insert the needle under both loops of the 1st stitch in the row just completed. 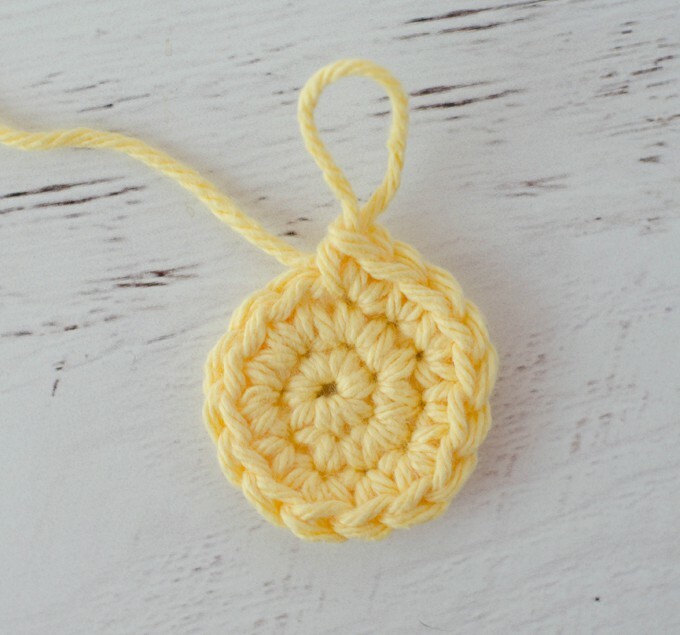 Now take the needle and come down from the top into the center of the last stitch of the row. 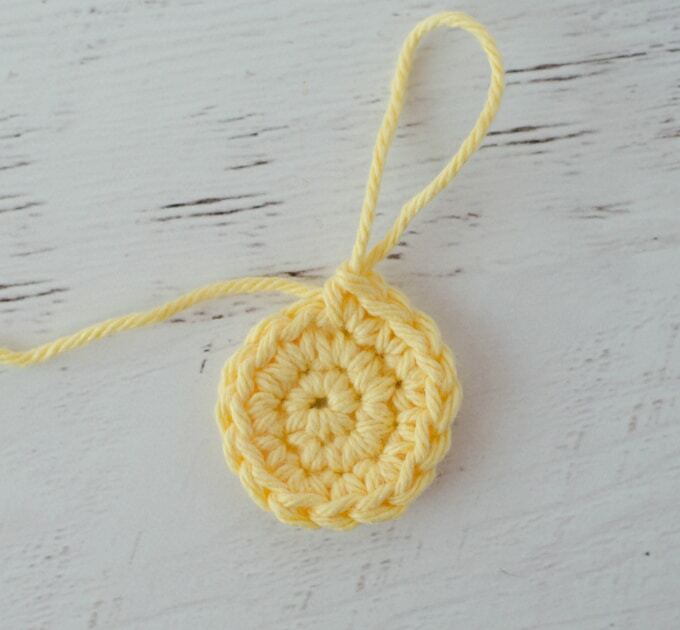 For some reason this feels like an odd thing to do as it is the opposite of what we normally do when we crochet. So just tell yourself “top center” so you remember to come down from the top to the center and then out the back of the work. You would then work under several stitches on the wrong side to weave in the end. And here’s the finished piece! The join is on the front edge and it is so perfectly matched that even I can’t tell (or remember) which of the front stitches was the actual joined edge! Isn’t that a great technique?! I am using this on every join. I love it! I’m doing the same! It’s great, isn’t it?! I’ve been using this method for a while now. It makes for such a nice finish!! And it’s very easy! Thank you for the information, I am going to use that from now on.